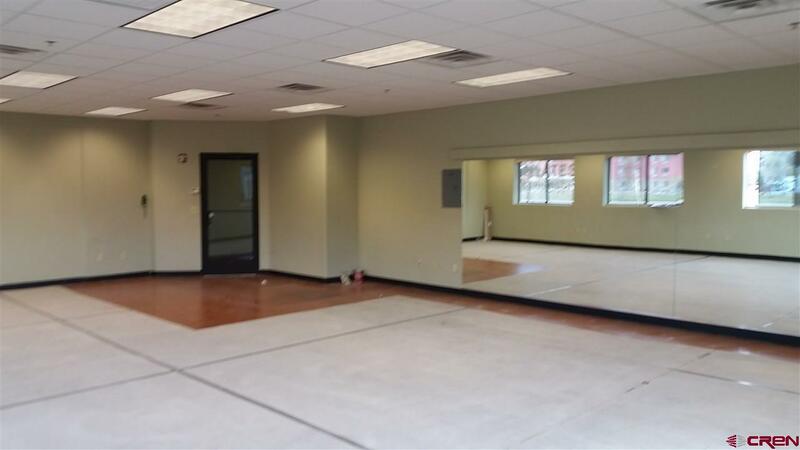 Available April 1, 2019 this Prime BUSINESS CONDO has 942 gross sq. 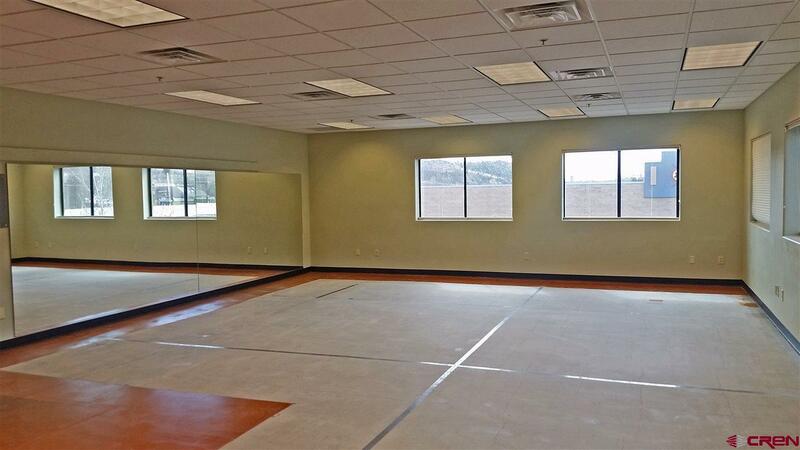 ft. and is a corner unit with two walls of windows, and a wall of mirrors. Built in 2006 and available for $15 per sq. ft. triple net ($1,178 per month), plus $288.23/month C.A.M. fees, prorated taxes. Rent annual 3% increases per year. 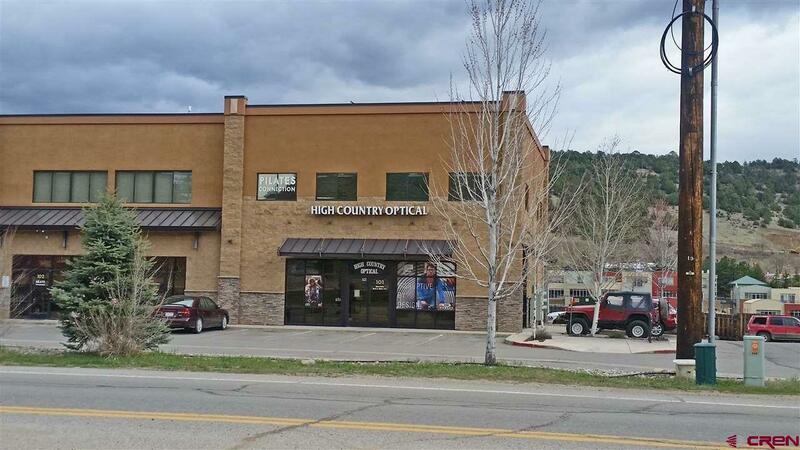 The Telluride Iron Works Retail Center is a busy "Class A" Commercial facility with Highway visibility, easy access, and plentiful non metered parking on all sides of building. 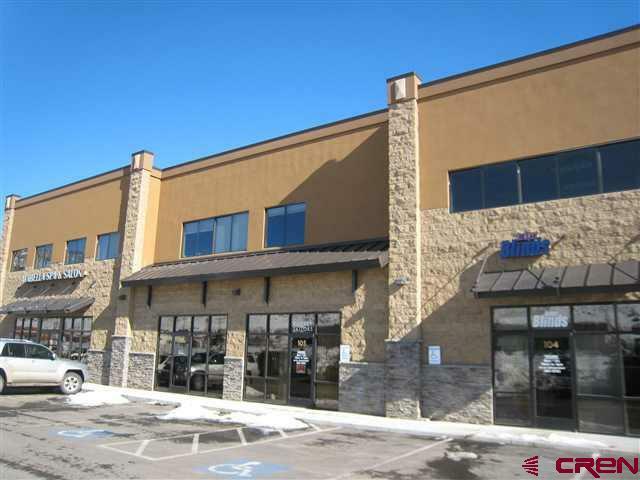 Enhance most any business opportunity with a quality location with many professional and medical offices.